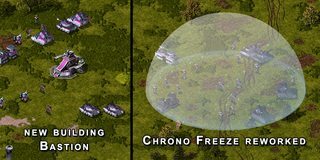 NEW CONTENT for Europe: Bastion, a T3 defensive structure & reworked Chrono Freeze as a T4 power. NEW CONTENT for Confederation: Dark Shroud, a T3 support power & reworked Cazador. NEW CONTENT for Yugoslavia: Holographic Deception, a T3 support power & reworked Polarity Swap as a T4 power. NEW CONTENT for Empire of Japan: Iron Grunt, a T2 support power, reworked Cryo Legionnaire, Research Institute, a Science Lab replacement & Plague Strike, a new T4 power. 17 brand new, high quality maps for multiplayer. 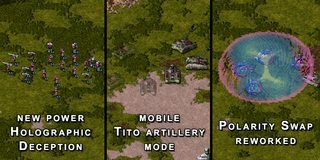 Lots of balance adjustments and reworks of existing units. You can view the full changelog here. As always, the YouTube channel has been continually updated with new content - and that will continue! Subscibe to the channel for updates on every video. The patch can be downloaded and manually installed, if you are unable to use the client updater for whatever reason. Remember you can always join our Discord for active discussion and first-look at every upcoming patch!